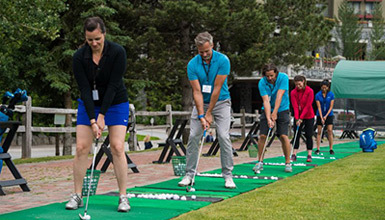 Spring in Whistler brings longer days and off-peak pricing, which means it’s the best time to enjoy everything under the sun, like golfing, floating on the lake, skiing, biking, bargain shopping and relaxing. 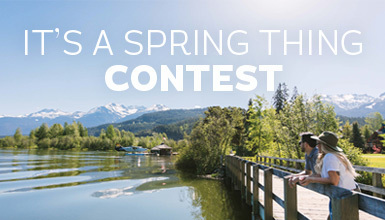 Round out your days with spring dining specials and don’t miss Whistler’s Great Outdoors Festival on the May long weekend. 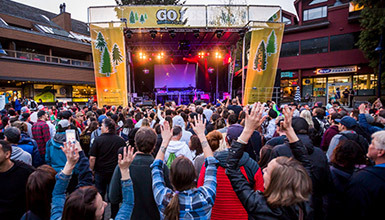 Whistler’s Great Outdoors Festival, better known as GO Fest, offers four days of sports, music, and arts and culture in celebration of spring. Looking to warm up your swing for golf season? The Range at the Whistler Golf Club is now open with five different target greens.